Maui. Napili Shores Resort. A beautiful setting for a small wedding or vow renewal. Sandy beach, black lava, grassy lawns, swaying palms, feeding turtles, stunning sunsets. Oahu. Ko Olina Marriott. Far away from the hustle and bustle of Waikiki. Calm lagoons, cool winds, dolphins and turtles. Fia Fia Luau is the best on the island. Mexico. Puerto Vallarta. Barceló Mismaloya Resort. 20 minutes south of P.V. this resort sits alone on the famous lagoon from "Night of the Iguana". All-Inclusive, VERY affordable. California. Napa Valley. Domaine Carneros. Napa Valley is filled with unique vineyards, mansions, castles, wineries and beautiful landscape. Florida. Disney World. Animal Kingdom. No kids required. So much to see and do in 5 different parks. Our favorite was this Safari Ride at Animal Kingdom. The animals get to roam. California. San Diego. Mission Beach. Playing in the ocean in late November? Yes. Beautiful beaches, pretty town, nice people. We rented a condo through VRBO and loved it! 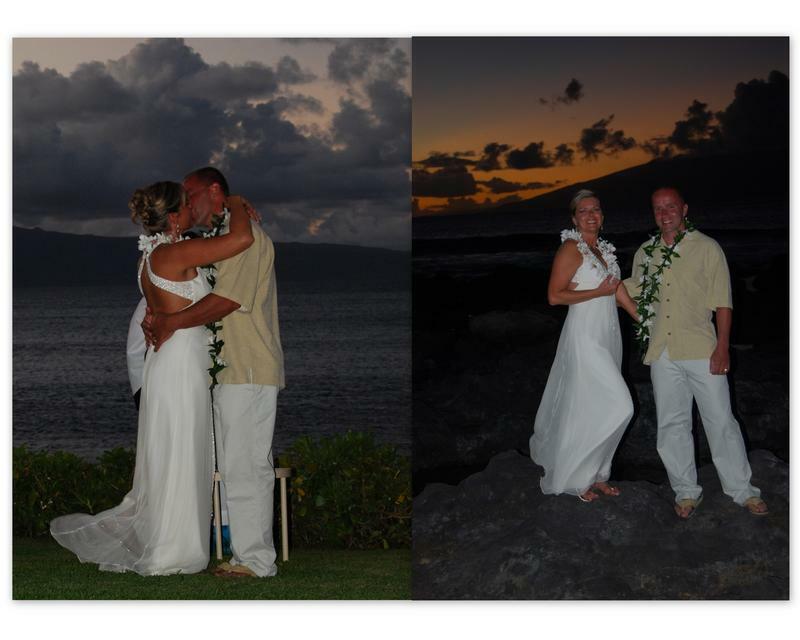 Destination Weddings, Honeymoons, Vow Renewals and Vacation ideas.